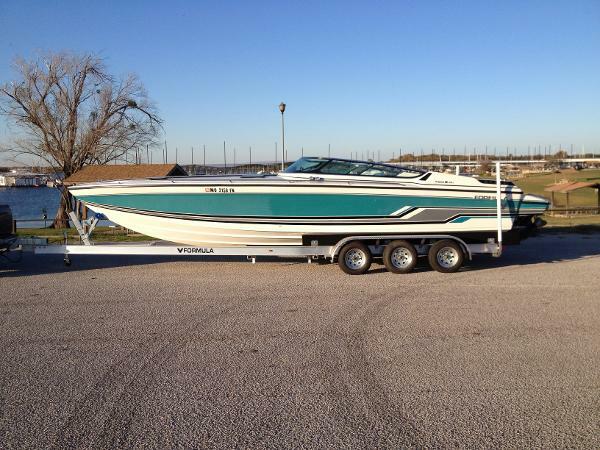 2005 Malibu Wakesetter VLX This beautiful boat is equipped with the Malibu Monsoon 340 h.p. 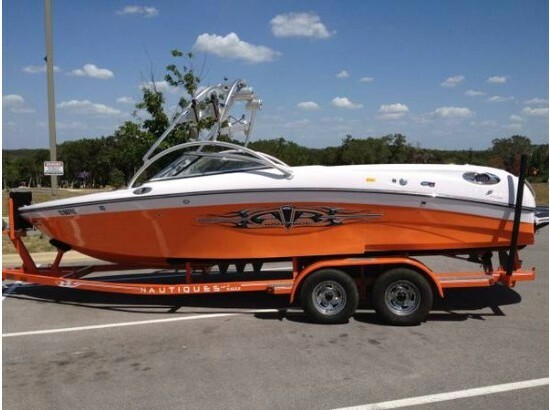 EFI - MPI, Perfect Pass Digital Wakeboard Pro, Malibu Launch System bow, mid and rear ballasts, Titan III polished tower, Wedge, Depth Finder Module, Sony Xplode speakers, fixed oval board racks, pull up cleats mid ship and stern, fiberglass swim platform and a Sunbrella bimini top. Great for surfing, wakeboarding, skiing, kneeboarding and tubing. Very low hours, serviced by local dealer and well maintained by original owner. 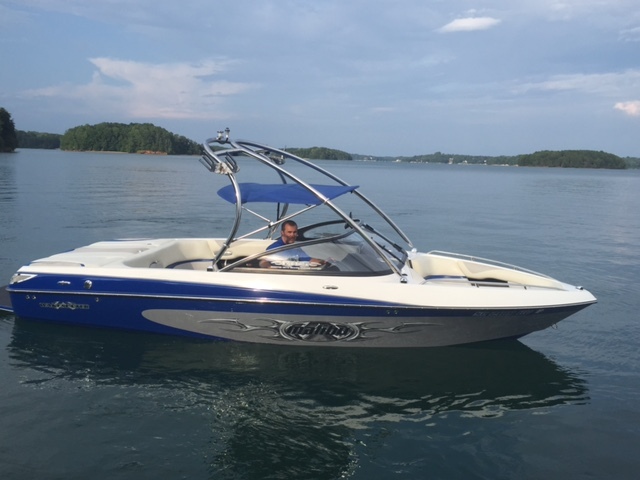 Boat has always been kept on a lift in Lake Keowee under a covered dock with a canvas cover that has side drapes. A switched anchor light was professionally added to the tower. Two outlet heater installed, just needs a new core. Wired for satellite radio. Sound system set up for plugging in iPhone. Prop is in like new condition. Battery is a OptiMax Blue Top and is kept on a trickle charger. Matching tandem trailer with aluminum tread plate on all fender steps and Malibu back lit laser cut front steps. Trailer is in great condition with all new tires, new wood & carpeted bunks, new wench strap and lights that are all in good working order. 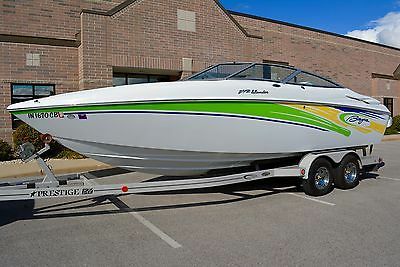 1989 Formula 292 SRI NEW 2015 CUSTOM TRAILER!FRESHWATER USE!TWIN 454's!This Formula 292 SR-1 is one of the nicest in existence today. Powered by twin Mercruiser 365hp 454 Magnum engines with Bravo One high performance nose cone drives. Fresh water use ONLY & serviced regularly. Easily runs 70 mph. 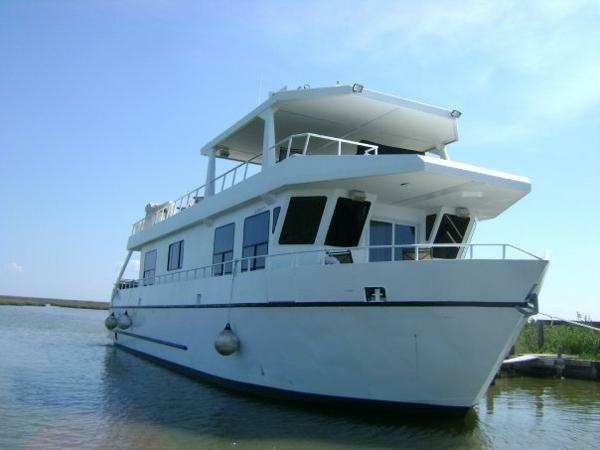 Other features include trim tabs, tie bar, original swim platform with fold down ladder, battery charger (2 New Batteries), fresh water tank, sink, wet bar, fridge, head with dockside pumpout, macerator, 30 amp shore power, stereo/CD player w/remote, amplifiers, depth finder, drop down bolster seats, electric rear engine hatch, clean interior with no rips, tears or cracks, snap-in cockpit carpet, bimini top, full boat cover, VHF radio, fire-suppression system, gas fume detector and more. Boat runs and drives great. Always kept on a lift in covered dock and dry covered storage during the winter on trailer. BRAND NEW custom 2015 Aluminum triple axle trailer (29-31TR) 10500GVW Surge brakes, disc brakes, torsion axles, skid pads on all crossmembers LED lights, guide poles. Boat was just surveyed and serviced and has been professionally winterized and would be good to go for Spring use!PRICED TO SELL WITH NEW TRAILER! Previous buyer fell through due to funding, so you get the reward. Listing at what their accepted offer was. 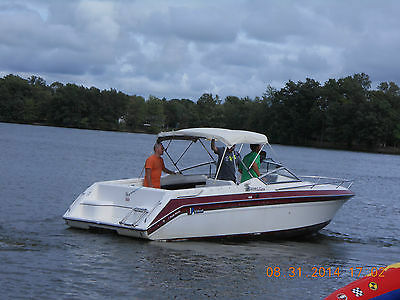 1992 Wellcraft Eclipse 232, Have owned this great boat for last 6 years. 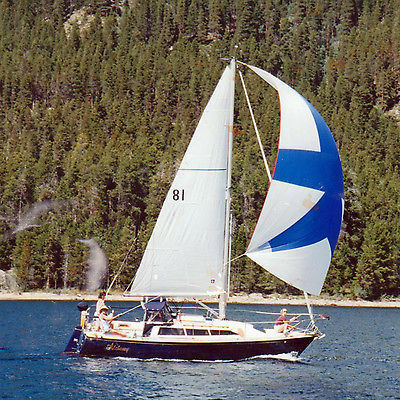 It is a very roomy boat, with 41 mph top end, handles weather and waves well for it's size. Has been used both on Lake Erie and Southern Ohio inland lakes. Always stored on trailer or on lift during the summer and indoors over winter. The deck layout works very well. Great family and friends boat! This boat is unique in that there is a cubby behind the wheel that can be used for storage, a port-a-poti, or sleeping for 3. We removed the dbl jump-seat as it opens the space up for someone to stand and watch tubers or water skiers. Boat will easily hold 12 people with power to ski or tube. Engine is a Merc 350 attached to an Alpha I outdrive. Engine was rebuilt 4 years ago, also replaced flywheel and starter. All service since purchase has been done at Dry Dock Marine here in Cincinnati. I have all documentation for boat and trailer service. Boat starts and runs great. New gear shifter and cable. (2) batteries replaced in last 2 years along with battery selector switch and a 110v charger for when sitting at the dock. All instruments work. Has a Garmin GPS, Lowrance Fishfinder/depth. Kenwood MP3 stereo. Lenco trim tabs, bottom paint. Partial covers 2 years old, full cover 5 years old. White sun top. Large ski mirror. There is a built in cooler with drain as well as in floor storage. Includes an Anchor. Has a dinette table for use in the bow while at anchor. Has a windshield attached wide-view ski mirror. Build in cooler, with drain, in the dash along with a sink. We used the cooler as a small drink cooler. Have all cabin cushions. Has both shore covers and a full cover both in great shape. Boat has plenty of power to carry 10 with tubers. Has been used both on inland lakes as well as Lake Erie. Deep V full rides great! You can ski, wakeboard, or tube. Plenty of power! Integrated swim platform is roomy with 2 seats and ladder. Makes in and out easy. We have been replacing a sections of cushions each year. None are split or in need of immediate replacement. Replaced carpeting 2 years ago. Needs pin striping detail. Have not been able to find someone local nor able to do myself. No fiberglass blistering or problems. Gets waxed and buffed every year. Includes a Continental dbl axel aluminum trailer, that had all new brakes and calipers installed. Boat is currently on trailer but can be available in water. Boat has been stored inside all winters. Happy to answer any questions. This is a great workhorse boat. We have enjoyed it and always serviced anything that was identified. We are moving to a different boat and would love to see someone get a bunch more years from it. 1992 Wellcraft Eclipse 232, Have owned this great boat for last 6 years. 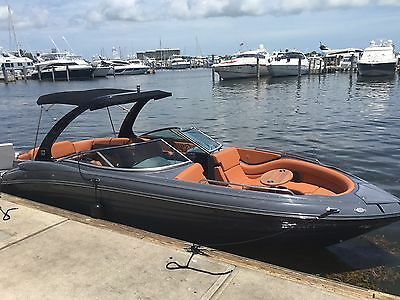 It is a very roomy boat, with 41 mph top end, handles weather and waves well for it's size. Has been used both on Lake Erie and Southern Ohio inland lakes. Always stored on trailer or on lift during the summer and indoors over winter. The deck layout works very well. Great family and friends boat! This boat is unique in that there is a cubby behind the wheel that can be used for storage, a port-a-poti, or sleeping for 3. We removed the dbl jump-seat as it opens the space up for someone to stand and watch tubers or water skiers. Boat will easily hold 12 people with power to ski or tube. Engine is a Merc 350 attached to an Alpha I outdrive. Engine was rebuilt 4 years ago, also replaced flywheel and starter. All service since purchase has been done at Dry Dock Marine here in Cincinnati. I have all documentation for boat and trailer service. Boat starts and runs great. New gear shifter and cable. (2) batteries replaced in last 2 years along with battery selector switch and a 110v charger for when sitting at the dock. All instruments work. Has a Garmin GPS, Lowrance Fishfinder/depth. Kenwood MP3 stereo. Lenco trim tabs, bottom paint. Partial covers 2 years old, full cover 5 years old. White sun top. Large ski mirror. There is a built in cooler with drain as well as in floor storage. Includes an Anchor. 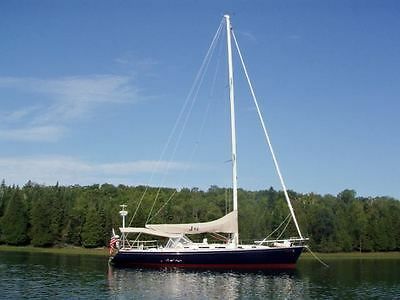 Has a dinette table for use in the bow while at anchor. Has a windshield attached wide-view ski mirror. Build in cooler, with drain, in the dash along with a sink. We used the cooler as a small drink cooler. Have all cabin cushions. Has both shore covers and a full cover both in great shape. Boat has plenty of power to carry 10 with tubers. Has been used both on inland lakes as well as Lake Erie. Deep V full rides great! You can ski, wakeboard, or tube. Plenty of power! Integrated swim platform is roomy with 2 seats and ladder. Makes in and out easy. We have been replacing a sections of cushions each year. None are split or in need of immediate replacement. Replaced carpeting 2 years ago. Needs pin striping detail. Have not been able to find someone local nor able to do myself. No fiberglass blistering or problems. Gets waxed and buffed every year. Includes a Continental dbl axel aluminum trailer, that had all new brakes and calipers installed. Boat is currently on trailer but can be available in water. Boat has been stored inside all winters. Happy to answer any questions. This is a great workhorse boat. We have enjoyed it and always serviced anything that was identified. We are moving to a different boat and would love to see someone get a bunch more years from it. 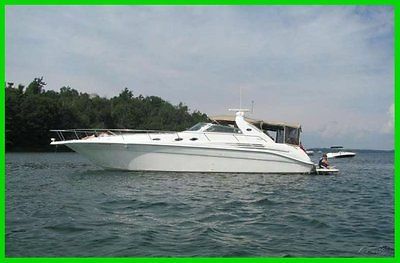 1992 Wellcraft Eclipse 232, Have owned this great boat for last 6 years. It is a very roomy boat, with 41 mph top end, handles weather and waves well for it's size. Has been used both on Lake Erie and Southern Ohio inland lakes. Always stored on trailer or on lift during the summer and indoors over winter. The deck layout works very well. Great family and friends boat! This boat is unique in that there is a cubby behind the wheel that can be used for storage, a port-a-poti, or sleeping for 3. We removed the dbl jump-seat as it opens the space up for someone to stand and watch tubers or water skiers. Boat will easily hold 12 people with power to ski or tube. Engine is a Merc 350 attached to an Alpha I outdrive. Engine was rebuilt 4 years ago, also replaced flywheel and starter. All service since purchase has been done at Dry Dock Marine here in Cincinnati. I have all documentation for boat and trailer service. Boat starts and runs great. Has a Garmin GPS, Lowrance Fishfinder/depth. Kenwood MP3 stereo. Lenco trim tabs, bottom paint. Partial covers 2 years old, full cover 5 years old. White sun top. Large ski mirror. There is a built in cooler with drain as well as in floor storage. Includes an Anchor. Has a dinette table for use in the bow while at anchor. Has both shore covers and a full cover both in great shape. Boat has plenty of power to carry 10 with tubers. Has been used both on inland lakes as well as Lake Erie. Deep V full rides great! You can ski, wakeboard, or tube. Plenty of power! Integrated swim platform is roomy with 2 seats and ladder. Makes in and out easy. We have been replacing a sections of cushions each year. None are split or in need of immediate replacement. Replaced carpeting 2 years ago. Needs pin striping detail. Have not been able to find someone local nor able to do myself. No fiberglass blistering or problems. Gets waxed and buffed every year. Includes a Continental dbl axel aluminum trailer, that had all new brakes and calipers installed. Boat is currently on trailer but can be available in water. Boat has been stored inside all winters. Bought the boat a couple of years ago. The boat was on a covered lift on Lake Travis Texas. Boat never smoked in.The boat has a 2012 custom aluminum tri torsion axle trailer with stainless steel disk brakes on all three axles. Electric brakes, LED trailer lighting, spare tire.The heavy duty custom trailer was made by Owens and Sons trailers.The trailer cost over 10,000.00 to build. Engine compartment heater, fire extinguisher.Boat has Gps/fish finder,VHF radio, remote spotlight, windless with dual control, all chain with plow anchor.Snap down carpet. Clarion stereo with cd, sat radio, Mambo sub speaker and cockpit and transom control stations. 22" led tv with blue ray player and inverter. Microwave, Stove, frig in galley. Sink, frig in cockpit. Cockpit carpet, bimini top, full cockpit canvas. Underwater transom lights. Swim platform with ladder. 12000 btu heat/ac. 5 kw generator. Shower,Vacuflush toilet with holding tank and pump out pump.Hot water heater. Transom hot cold water shower. Boat had 80 hours of fresh water use when i purchased it. I have since put about 100 hours on the boat. The trailer has never been in salt water. I have taken the boat to the jetties a couple of times but the boat always returned to fresh water to dock or go back on the trailer. Replaced both engine and generator impellers end of last season. Past winter props were checked for proper pitch by excellent prop shop and balanced. Boat was serviced last season and has only a few hours since serviced. Boat is ready to use. People see the boat and think it is new. No damage on hull with exception of small blemish on vinyl strip right above water line on the forward starboard side. This is a very nice boat. Been running and working on boats for over 45 years. Always adult driven and professionally maintained. Will not sell boat without trailer. Delivery for a fee may be an option depending on location. Send me an email if you have any questions.